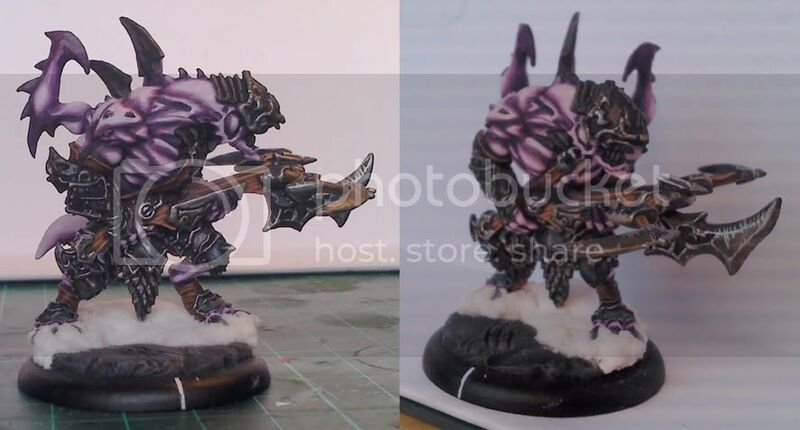 So I finished my first model in my new Legion of Everblight force. 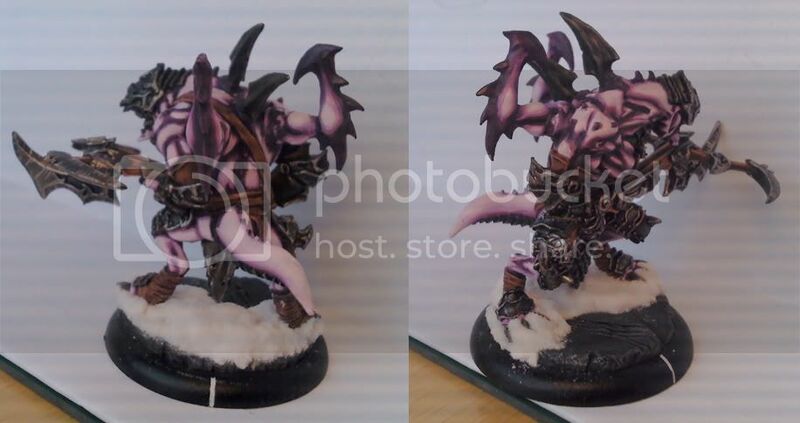 This was the first model I bought, purely because I liked the look of it. 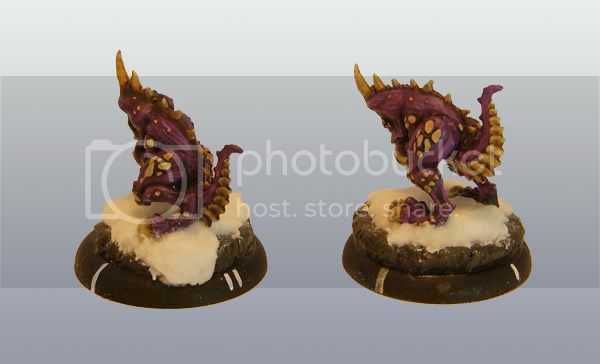 I've never painted purple before, and haven't tried snow either so it was a bit of an experiment. 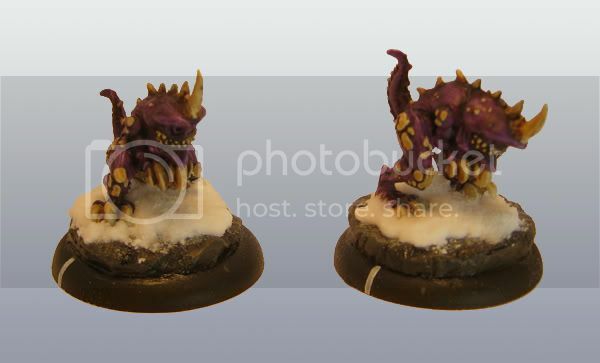 I think the purple came out ok, but not quite how I had imagined, I think the contrast is probably a bit too harsh and next time I'll start with a lighter purple base. I made the mistake of not washing this model, and I keep finding patches of paint rubbing off, which is somewhat irksome. Next up will probably be the big Carnivean. Wow, that is really nice. 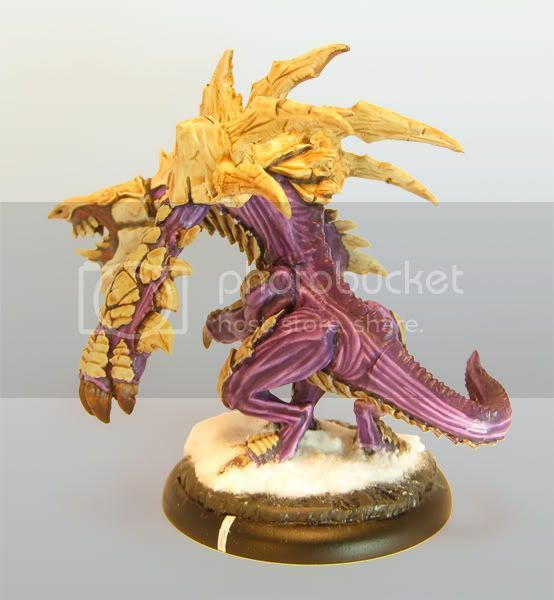 I actually quite like the purple contrast, gives it a savage look. Obviously I hate him really though, after he shot Kaya in the face last week! Photos aren't great, there is some subtle blending on the black side of the cloak, but let's face it, it's all about the back of the cloak really! As I've said before, the cloak looks ace. So does the rest of her. 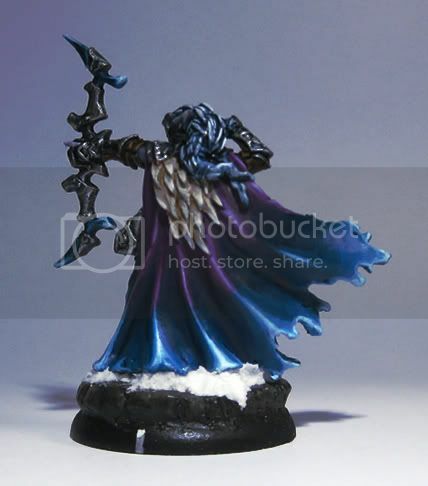 Any reason why you didn't do some blending on the inside of the cloak as well? It might help to brighten the front up a bit with some contrast. To be honest, I got bored and just wanter her finished. 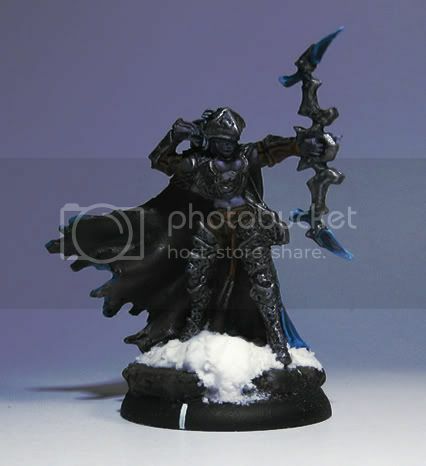 There is a subtle blend on the front of the cloak but it is completely washed out in the pictures*. *One of these days we'll have to set up a proper lightbox at the club or something. 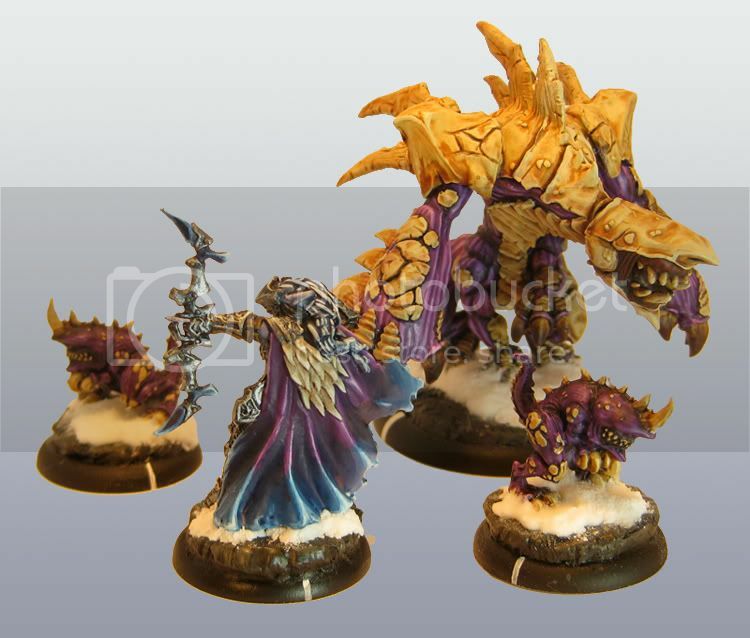 This is also the first run out of my new homebrew lightbox. 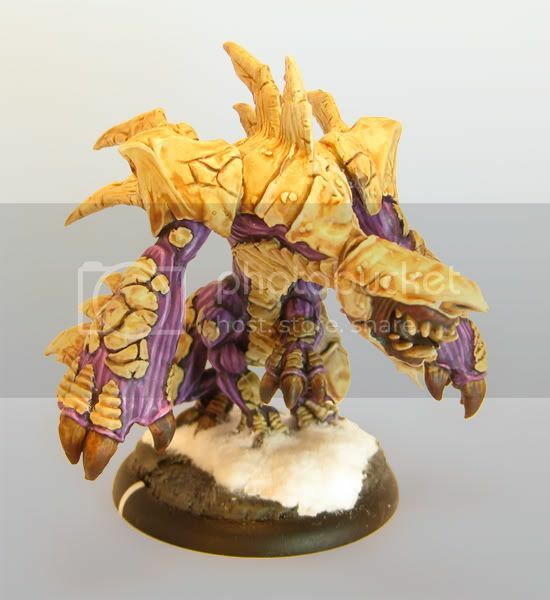 The colours are more yellow/orange than they are IRL, but at least the whole model is covered. My camera has limited settings to adjust whitebalance and exposure sadly, so I'm still experimenting with the best settings. Pictures came out very orange, think I need different lamps.